An amp that lets you experience pure simplicity, total control and excellent note articulation with chordal clarity. The Pittbull Fifty/CL provides two channels of unapologetic attitude with a 50-watt power plant, delivering thick, touch-sensitive response with a decidedly British persuasion. 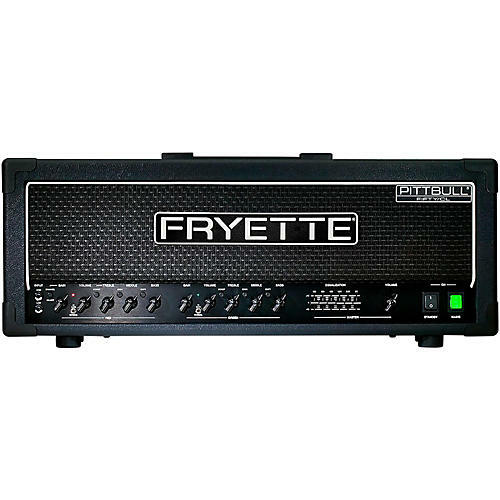 This is a no-nonsense amplifier with a deceptively simple feature set in which either channel can serve as a Clean, Vintage Crunch or Hi-gain channel. The CL’s Red & Green channels are similarly configured but voiced slightly differently for a wide palate of pristine clean, slightly dirty clean, spanking crunch and aggressive but harmonically rich overdrive. Combined with an extremely expressive graphic EQ, this allows for quick and intuitive sound sculpting. Getting familiar with the Fifty/CL amplifier is easy, so don’t be terribly surprised when you find yourself up and running in no time. First-hand experience and real world application will yield the ultimate satisfaction of finding your own path of comprehension and self-expression. The Pittbull Hundred/CL, paired with the FatBottom 412 cabinet, delivers ground shaking thump and blow-your-hair-back, low-end projection. For the ultimate portable rig, couple the Fifty/CL with the FatBottom 212. Own an amp that just begs to be cranked!